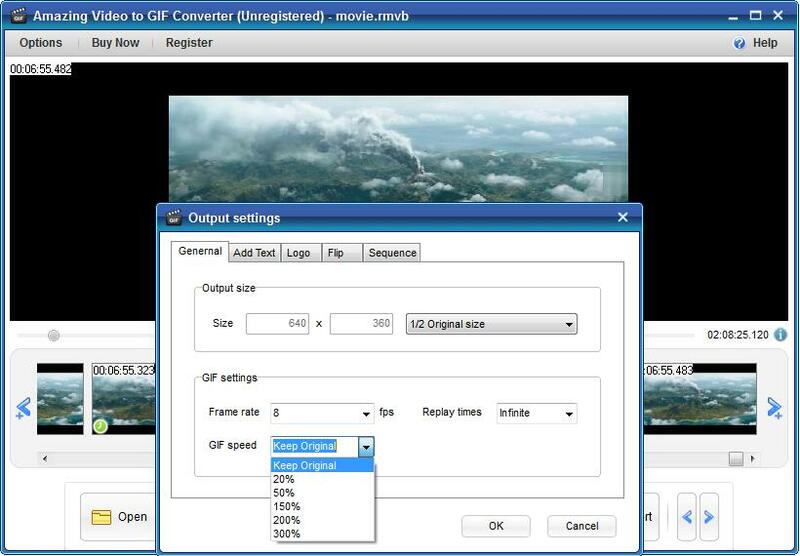 Amazing Video to GIF Converter can convert videos including MP4, AVI, MPG, WMV, FLV, MOV, VOB, MKV and RMVB to GIFs. 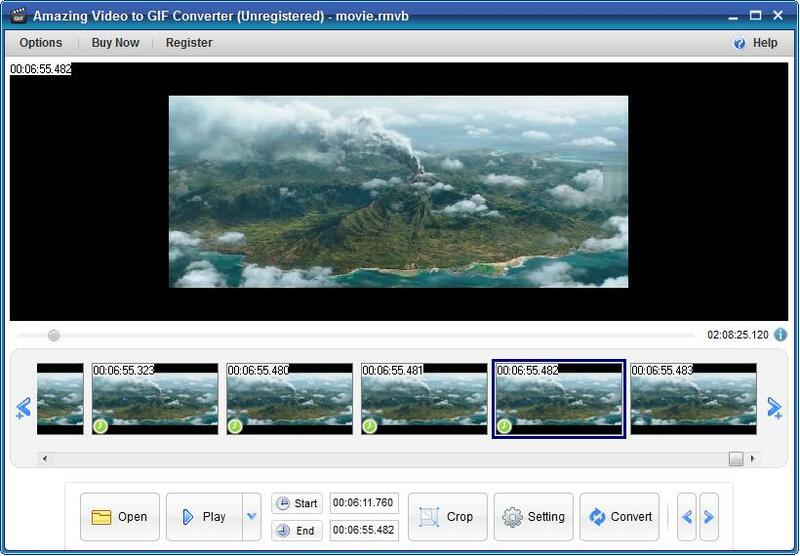 This article shows how to create GIFs from various video formats and image files. 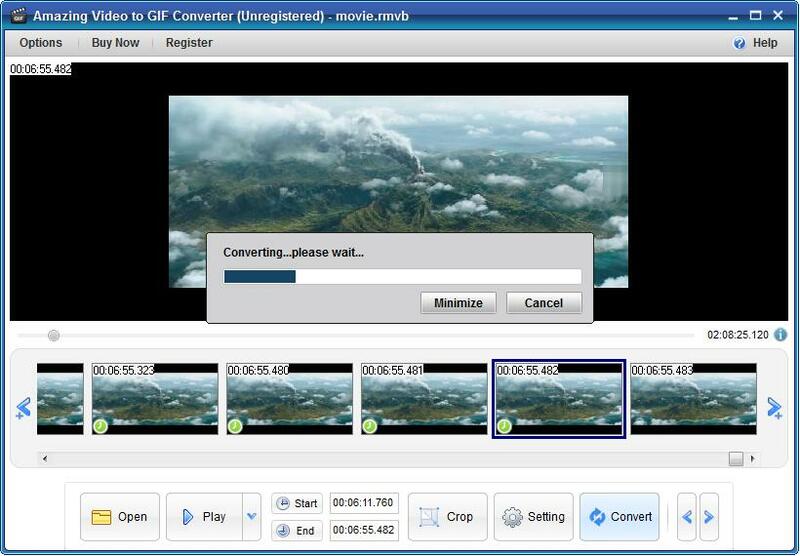 Download Amazing Video to GIF Converter and double click the installation package to install Video to GIF Converter on your computer. After that, click the app icon to run it. Click "Open" image button to load video file. Click "Start" and "End" button to cut the video you need. Click "Crop" button to trim unwanted video area. Click "Setting" button to set output size, frame rate, replay time, GIF speed, add text, logo, flip horizontally, flip vertically and sequence (original, reverse order and Ping-Pong seamless loop). 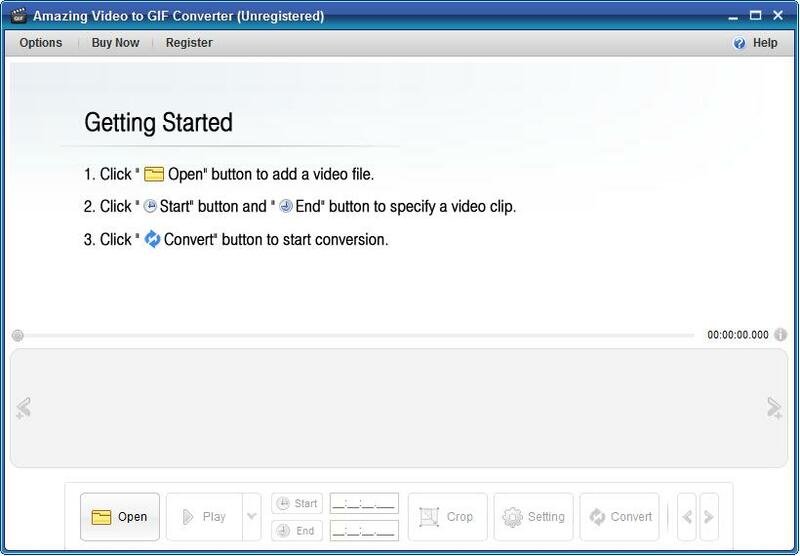 Click "Convert" image button to start the video to GIF process. After that, you can preview the GIF and then decide to save it or not. Connie - An intuitive GIF screen capture tool which can save screen video recordings as animated GIF files quickly with lossless image quality. Eleanor - Batch convert gif files to video files and extract gif image serial.